Maintaining a lawn is little tricky, especially for beginners. But with these Lawn Care Tips, you’ll be able to get the best lawn ever! Many gardeners believe that no garden is complete without a lush green lawn. If maintained greatly it gives a soft velvety touch to a garden, plus a most favorite site to leap and lie down for pets and children. Making a lawn is easy, but its maintenance and is difficult. To make it greener from green and thicker from this, imply these 16 useful lawn care tips. 1. Don’t go for fancy stuff, always plant grass that is native and local and perfectly adapted to your climate. Examine your place perfectly to find out the hours of sunshine, temperature, growing conditions, and soil type to choose a grass type you should grow. 2. What’s your soil pH? For lawns, pH level around 6 to 7.2 is required. Test your soil pH, if it’s not around the required level, amend your soil type. 3. Don’t plant lawns in a completely shady area and avoid planting it on the slopes and anomalous spots of your yard. 4. Grass in a shady part of your lawn requires less watering and fertilizer as it doesn’t receive full sun, you can’t perk up its growth by over watering and over fertilizing. The simple formula is to fertilize and water it half than the sunny spot. 5. Mow your lawn before grass reaches high to avoid sunburnt lawn, mowing tall grasses can shock their roots and dull the blades of the mower, too. 6. Find out the mowing height of the grass you’re growing and cut according to it. For example, you should cut buffalo grass 2-3 inches and hybrid Bermudagrass around 1 inch. Read this post to find out ideal mowing height of your grass variety. 7. How you’ll know that your lawn needs mowing and it’s reaching height? The rule is simple, when it reaches the one third or more of the suggested mowing height, cut it. If you cut grass after 2 inches, then its mowing time is when it will reach 3-inch height. 8. Healthy growth of grass doesn’t let the weeds grow. If you want effective weed control in your lawn, plant a variety of tall grass, it’ll cover up the space for weeds and cut off their sunlight. 9. Use edgings in your lawn; edgings restrict grasses from out bounding the lawn and give it a sheer look. You can use plastic edging or timber, concrete or brick edging. 10. Walking over the lawn and trampling it for years, tighten the soil and take all the air out from the area, that’s why you should aerate your lawn twice a year in both spring and fall. Aerating helps the root system and soil by providing the air and water. It also improves nutrients penetration. Aerating is the secret of happy green lawns. 11. Morning time is right for watering, as the water evaporates less. If your lawn is new, you need to water more to let your plants establish. 12. Water your lawn 5-6 inches deep and let it dry up before another watering session. A lawn watered deeply doesn’t dry out quickly, the best way to measure the level of water absorbed by the soil is to poke a rod or stick in the soil after watering. 13. The more you feed nitrogen-rich fertilizer and water regularly, the more it will overgrow and the more you’ll need to mow it. Making a balance for a lush lawn is good. 15. Lack of calcium in soil provides a prosperous, thriving condition to common weeds. Spread lime using spreader if your soil doesn’t have calcium to magnesium ratio of 7 to 1. 16. 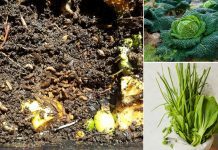 You can feed your lawn with compost or manure, as manures are rich in nitrogen they are a better organic option than chemical fertilizers. Cow manure is best for lawns. Read this post to learn how to add manure to your lawn. If you like these lawn care tips, share this article and help others. If you want to add anything, leave a comment. We have had a mushroom problem. Any tips on how to get rid of this. 1) Aerate the soil, it will solve the drainage issues. 2) If you keep the lawn moist and water more often, reduce it. 3) If there is organic matter decomposing, either buried or somewhere near the lawn, remove it. You can also wait and once the decomposition process will complete, the fungus will disappear. My wife and I are trying to improve the look of our lawn a little better. I really appreciated these tips, especially number seven. I never quite know when the best time to cut is, so I liked your rule to cut when it reaches the one third or more of the suggested mowing height. Thanks for sharing. Lawn care can indeed be difficult, but getting a grass meant to be in your area is a good way to make it easier. If you get grass that isn’t native to where you live, then you are just asking for your lawn to die. Each grass has different needs as well as to how much water and such, so research that before you get any. This is the first spring that my wife and I will have a yard on our own. Neither of us know how to properly take care of a lawn though, so we are trying to get an idea of how to get started in this process. This helped a ton and we will start with the mowing process and keep it at the right height. Thanks for the tips. I think that the best thing I have done for my lawn is to aerate it and make sure it gets fertilized often. However, I do tend to let it grow too long. I didn’t know that grass could get sunburned, and heard that longer grass is healthier and takes less water. I guess that wasn’t true. My lawn gets a lot of weeds, but I had no idea that it could be because of the lack of calcium. I know that calcium comes from milk and so I just never thought about it. However, I really appreciate your tips about spreading lime so that the grass can have that nutrient. But is there a way to make my lawn naturally obtain calcium? I didn’t even know that half of these problems existed, but the solutions seem very simple and easy. Having grown up in a very hot climate, maintaining our lawn was not easy; we might also have become too lax. It is impressive that places with large and beautiful landscapes are able to maintain lawns, flower beds and even trees all year long. These are some great tips, and I appreciate your advice to grow grass that is native to your climate. My husband and I just moved into a new house, and the yard is just dirt right now, so we want to start growing a lawn. We’ll definitely look into growing a type that is native to the climate here so it doesn’t take as much to keep it healthy. Thanks for the great post! I think that it is important to be able to take care of your lawn. That way your yard is healthier. Keeping your lawn maintained is really important. I’ve been trying to come up with a good way to keep my lawn healthy. I’ve got kids with friends and a dog, so I don’t want to have it get trampled. I’ll see what I can do to get it to aerate! Thanks for sharing. I have been looking for some good tips to get my lawn nice and green. I really liked what you said about not going for fancy stuff. I think that a good lawn needs sun and water and a little bit of extra fertilizer. After that it’s up to your lawn to flourish. Thank you for these tips! I had no idea that you should water your lawn in the mornings. I usually will water my grass at night, before I go to bed. I will have to change the schedule so that it can be as healthy as possible. Thank you for the help. I bought a house recently for the first time and am trying to learn about landscape maintenance. I had not realized that I need to find the right mix of fertilizer with nitrogen and water and things like that. It sounds complicated. Would it be wise for me to hire a maintenance service until I can learn more? I always water my lawn at night. I didn’t realize that the morning time was the best time to water. I will have to make that change. I want to make sure I am doing everything I need to in order to keep my lawn looking as best it can! These tips are spot on. Over the years watering the lawn in the mornings and using fertilizer always produces the best results. Thanks! Great tips. I enjoy taking care of my lawn and garden and do a little bit here and there, a bit more on weekends so that the maintenance never amounts to a HUGE job. I’ve been pretty good about watering my lawn every morning, but I never know how much water it really needs. It helps that you answered by question by saying that it needs 5-6 inches of water and to let it dry before the next time I water my lawn. I don’t have a rod or a stick to measure this, so I’ll make sure to get one to know if my grass has been watered enough. Great advice! I have been looking at getting an edger, it makes the yard look so much cleaner and nicer. Thanks for putting this list together! Wow, I had no idea that there is so much to keeping a healthy lawn. To be honest, I don’t have the time to fertilize the lawn every 6 weeks and stuff like that. I’d rather let a professional do this kind of stuff instead. I love to see my lawn taken care of, but sometimes I just have no time to take care of it. I didn’t know that a healthy growing lawn would keep the weeds from growing. I would be awesome if I could take care of my own lawn but I think I need to find someone that does it professionally. You stated that grass in shady part of your lawn requires less watering and fertilizer as it doesn’t receive full sun, you can’t perk up its growth by over watering and over fertilizing. My wife has been very frustrated that our lawn has been really struggling over this summer. Are there certain fertilizers that might be better for certain types of grass? Hey Derek, like the way you have shared an effective guidance about watering the lawn for more maintenance of it. Aerating by scheduled time is great way to keep your lawn healthy and green. Most important phase is the soil, I agree. Appreciate your efforts to mention about this. Keep updating an useful stuff with us like this. My neighbors young children abuse my front lawn as if it were their own. I’ve asked them to keep them off the grass as much as possible, but the kids continue to run and ride their bikes on it, tamping it down and killing off most of the grass. Will aerating it bring it back even if it continues to be abused? There is a lot to take in there but all relevant. Our lawn does have a minor moss problem and I tried to get rid of it, which succeeded to some extent but at the same time it wasn’t that unsightly. With spring arriving it looks Like I need a new lawn mower anyway, not big enough for ride-on but borderline big enough to prefer one. Thanks again for the article very useful. I appreciate that you suggest to water in the morning. My parents would always water around 2 or 3 in the morning. They always said that it helped the grass be more healthy and green because it can absorb the water more. I’ll have to set our system to water this early as well so that we can healthy grass. I like that you mentioned that edgings can stop the grass from out boudning the lawn. I have been trying to help my lawn look the bets in the neighborhood for a while, but I am having a hard time. Any tips help, so I will give this a try, thanks! Thanks for telling us the best time to water the lawn. I never even thought about the difference it might make until i read your website. Thankyou! Great tips! I always set my sprinkler to start watering in the morning so it gets the best amount of absorption. Taking care of your lawn requires some steps, but it’s well worth it to see how green it is in the summer. Thanks for sharing! My brother wants to take better care of his lawn. He is a little clueless about lawn maintenance. I will share your advice to know the mowing height of the grass you are growing and mow accordingly. Thanks for the suggestion to use plastic or concrete edgings on the lawn to keep it from growing places you don’t want it to grow. My husband and I just moved into a house with an extensive yard, and we’re not sure what to do to maintain it. Maybe we’ll put in edgings to make the lawn look cleaner and contact a maintenance service to help us take care of it. Thanks for the lawn care tips. I want to make my landscaping more beautiful, so I have been looking for ways to work on it. I like that you mentioned to make sure you aerate your lawn so it can help the roots get air and water. I will make sure to start doing this regularly! Thank you for sharing these great tips! I agree, planting grass, and other plants, shrubs, and trees, that are native to your region is your best bet at having a great looking yard all the time. As the fall season quickly approaches, it is important to care for your lawn before the winter cold hits and you lose all of your hard work. For example, watch your mowing and watering schedules, cover delicate plants to protect them form the cold and snow, and don’t forget to plan for some fun fall activities in your backyard as well. Thanks again for sharing! Interesting thing you mentioned about mornings being the right time for watering as it seems to be more beneficial to the overall growth of the plants. I typically water my plants in the afternoon only because I just got used to that kind of routine. I’ll definitely take heed of your advice regarding this. Thanks for sharing. It’s interesting to learn that healthy tall grass can have their use aside from just being aesthetic since they can kill out the weeds and even take their space and sunlight. It’s like they’re bullying the weeds away which is perfect. I’ll keep that in mind and drive to get some seeds at the ready. We’ve been having this weed issue on our lawn so it’s nice to learn that it’s simple to do a fix. I’ll have some professional to maintain our lawn first and maybe have them plant the tall grasses too. Thanks! I like the idea of growing longer grass as a way of controlling weeds on the lawn. Quite brilliant. I’m definitely going to start growing a slightly longer grass in my yard. 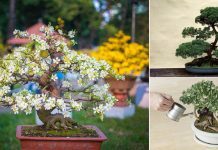 I’m planning on giving a complete makeover to our yard and this kind of article was exactly what I was looking for to get information. I think I’m going to pay for landscape maintenance services as well, but I want to find out about everything before I do so. You shared some very good tips on when and how much to water and fertilize the lawn which I’ll definitely start using. Thank you for this post! Thank you for pointing out that you should be properly recycling your trim. My husband and I don’t have time to take care of our lawn and want to hire a company to do it for us. I’ll have to do some research and find the best one in the area. It was helpful to know that you must consider fertilizing your plants every 6 weeks. 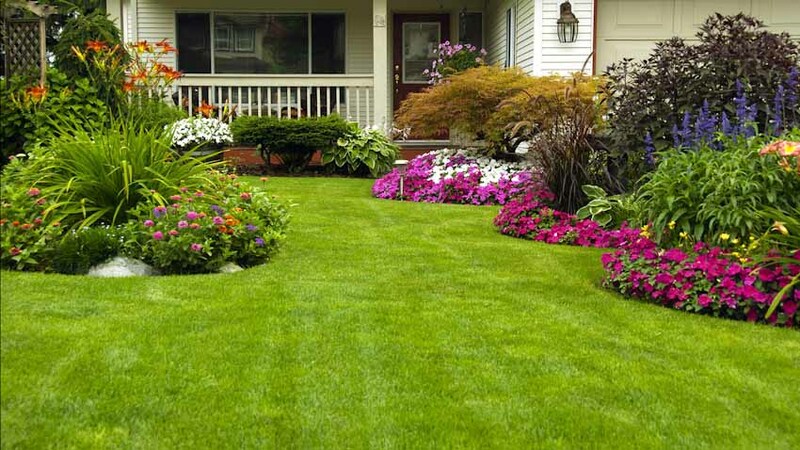 As you said, you can achieve a lush lawn if you will consider using nitrogen-rich fertilizer. With that in mind, we’ll be sure to shop for natural fertilizer in the market. My husband and I want to make our lawn as green as possible. We have plants there that are withering for some reasons. Our goal is to make our lawn the most relaxing place in our property.